Our industrial measuring technology enables you to efficiently monitor the quality of your workpieces throughout the entire production process. Produce consistently highest quality thanks to efficient and automated metrology solutions. 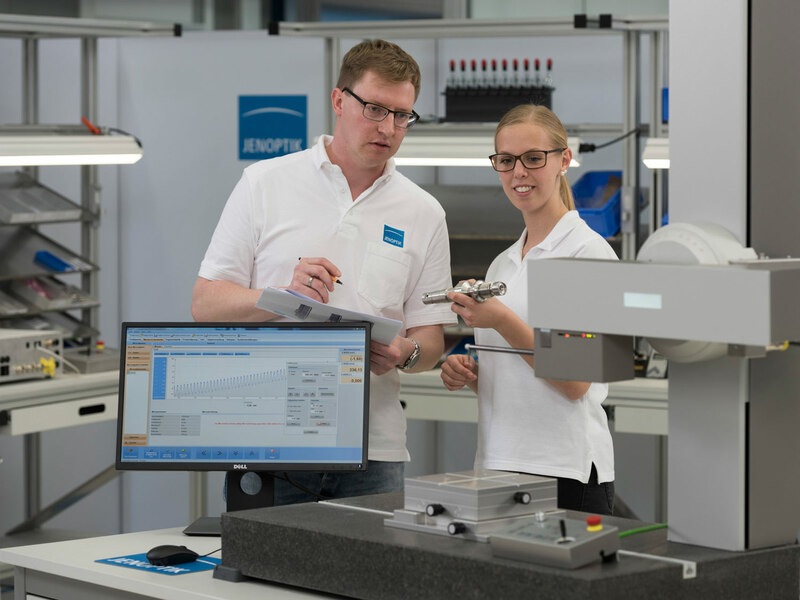 Jenoptik develops and constructs industrial measuring technology that you can use to monitor and optimize your production processes. Our tactile, pneumatic and optical measuring systems are manufactured using state-of-the-art technology and can be used for a wide range of measurement tasks, depending on requirements. The systems analyze the surface, shape and dimensions of your workpieces - at every stage of the production process, during the final inspection or in the measuring room, providing you with precise measured data within the shortest time frames. As a leading manufacturer and system supplier, we offer a broad spectrum of services. Choose the system that best meets your needs from a wide range of standard products. If required, we can also develop systems that are precisely tailored to your requirements. Thanks to our extensive expertise and decades of experience, we know exactly what our customers want and need. We work together with you to find the right system—contact our experts for advice. Our customer service team is on hand to provide worldwide support, servicing and repairing your systems with a high level of reliability. Dimensional metrology monitors the quality of your workpieces using three different measuring methods. The form measuring instruments check the form and position tolerances of your workpieces – even in tough industrial environments. In-process metrology enables you to significantly increase the quality of your manufacturing results. Measure and monitor distances and positions - fast, accurate, and an in non-contact fashion. Measure the roughness and contours of your components in a single probe step or in separate measurement runs. The visual surface inspection detects the smallest flaws.